Use of the generic versions of directly-acting antiviral (DAA) drugs that are available in India to treat hepatitis C virus (HCV) infection is not only cost effective but actually saves lifetime costs for treating infected patients in that country. A report from an international research team appears in the open-access journal PLOS ONE and describes finding that the upfront costs of DAA are offset by the avoidance of costs incurred to treat late-stage disease. "More than 9 million people are infected with HCV in India, and more than 70 million worldwide," says Jagpreet Chhatwal, PhD, of the Institute for Technology Assessment at Massachusetts General Hospital (MGH), senior and corresponding author of the paper. "These persons are at risk of developing serious conditions such as cirrhosis and liver cancer, which can be fatal. However, only a fraction of them have been treated with these drugs so far." 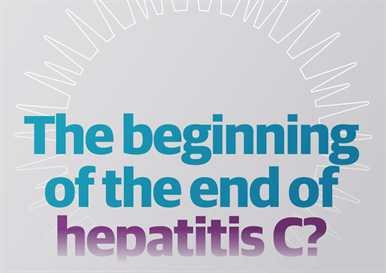 First introduced in 2011, DAAs such as sofosbuvir (Sovaldi) and ledipasvir (which is combined with sofosbuvir in Harvoni) have proven to be remarkably successful in the battle against HCV infection, with cure rates exceeding 95 percent. In developed countries, treatment with DAAs is very expensive -- reaching nearly $65,000 in the U.S. -- although it meets standards for cost effectiveness. In those countries the advent of these drugs has drastically changed the landscape of HCV infection. But other countries have lagged behind in their use. Through agreements with the pharmaceutical companies that developed these drugs, generic drug manufacturers in India are now able to produce versions that cost as little as $300 for the entire duration of treatment. But the absence of data on the cost effectiveness of these drugs in that country and low budgets for HCV treatment have meant that only a small proportion of people needing these drugs have received them. The research team -- including investigators from Sanjay Gandhi Postgraduate Institute of Medical Sciences in Lucknow, India, and the World Health Organization -- used a mathematical model to compare the outcomes of DAA treatment with those of no DAA treatment based on profiles of 30 hypothetical patients with characteristics typical of Indian patients with HCV infection. Factors incorporated into the model included the natural history of HCV disease, the costs of DAA administration, the costs of treating the adverse outcomes of HCV disease, and quality of life of individuals infected with HCV. The model indicated that, compared with no DAA treatment, use of the generic drugs in HCV-infected Indian patients would increase life expectancy by more than eight years while reducing lifetime health care costs by more than $1,300 per person. Payback for the upfront costs of DAA drugs would be achieved in an overall average of less than 10 years -- under 5 years for patients at advanced stages of HCV disease and almost 12 years if treatment begins at earlier stages. Even though there was wide variation in the factors -- such as patient age, disease stage, and viral genotype -- input to the model, results always indicated that generic DAA treatment reduced lifetime costs. "Our hypothesis was that treatment would be cost saving, given the low drug costs in India. However, we were pleasantly surprised to find that the full payback was achieved so soon after treatment," says Chhatwal, who is an assistant professor of Radiology at Harvard Medical School. "Our finding that treatment pays back its initial costs makes a very strong statement -- that investment in HCV screening and treatment should be a priority for public health agencies in India and other countries where generic DAAs are available. It could also be argued that generic DAAs should be made available in other low- and middle-income countries where HCV infection is common and budgets for treatment limited." Lead author Rakesh Aggarwal, MD, DM, of the Department of Gastroenterology at Sanjay Gandhi Postgraduate Institute of Medical Sciences (SGPGIMS), a WHO Collaborating Center on Viral Hepatitis, says, "This is a win-win situation for the low- and low-middle-income countries where the generic DAAs can be sold. If these countries spend money on HCV treatment today, they will recoup it in the form of reduced health care expenditure within less than one decade. There is hardly any other health care intervention with such good return. Our results should show political leaders in those countries that they have a wonderful opportunity to make a difference for their constituents." Story Source:Materials provided by Massachusetts General Hospital.